As children are learning to speak, they may go through periods of dysfluencies, or, stuttering. This is referred to as “developmental stuttering”, and is typical for a certain amount of time in a child’s life. Recent studies indicate that stuttering begins most commonly between 2 and 5-years-old. Approximately 9% of children will demonstrate some form of stuttering, and 80% of these children will cease stuttering without intervention. Do not interrupt your child, or finish what he/she is trying to stay. Speak slowly. When you model slow, relaxed speech, your child will imitate your way of speaking and feel less rushed themselves. Set aside time each day to sit and converse with your child, uninterrupted. Avoid questions when possible. Questions can put pressure on a child, that could lead to an increase in stuttering. Instead, use comments throughout your conversation where your child can simply add what they have to say. Use appropriate facial expressions and body language to show your child that you are listening. Make eye contact, face them, and remain on their level. Do not look angry or distressed, as your child will see this which can lead to feelings of anxiety or stress. 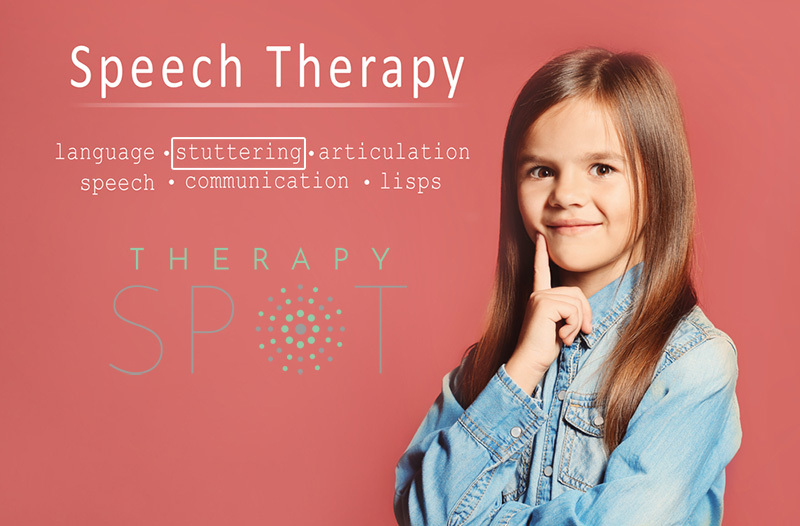 If the dysfluencies in your child’s speech seem to be increasing, or you notice your child becoming more anxious or upset by his/her stuttering, do not hesitate to call Therapy Spot at 416-546-3044 to book a consultation with one of our Registered Speech-Language Pathologists. “7 Tips For Talking With Your Child.” Stuttering Foundation: A Nonprofit Organization Helping Those Who Stutter, 2018, www.stutteringhelp.org/7-tips-talking-your-child.